Looking for a hearty, Southern-inspired, soul-warming dish? 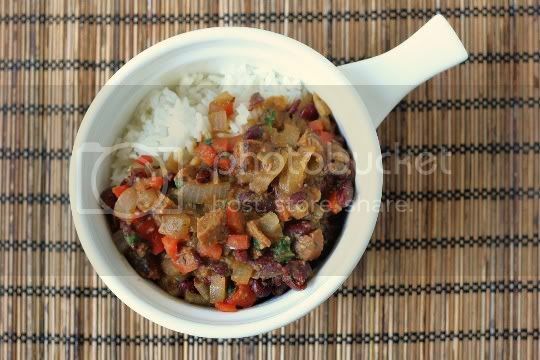 This recipe is a unique spin on red beans and rice, adding a spicy sausage to the mix and yielding a delicious, well developed, gumbo-like flavor. It's easy to make, and as with most stews, leftovers are even better the next day. This isn't your typical extra soupy, bean-heavy recipe. It's more like a chunky vegetable stew. Yes, there are beans, but there's also an onion-pepper mix that gives the dish a surprising amount of sweetness. Cajun seasoning lends a rich, savory flavor, while thyme adds that herbal woodsiness that's essential to Southern vegetables. Although I only used one vegan sausage (Field Roast is a gem here), you might want to use two if you're going for extra meaty. The Mexican Chipotle variety is what makes this spicy, and it's the kind of heat that sneaks up on you after a few bites. What's nice about this recipe is that the thickness can be totally adjusted to your liking. Mashing some of the beans is what creates the thickness (what a brilliant idea! ), so mash more or less to your liking. 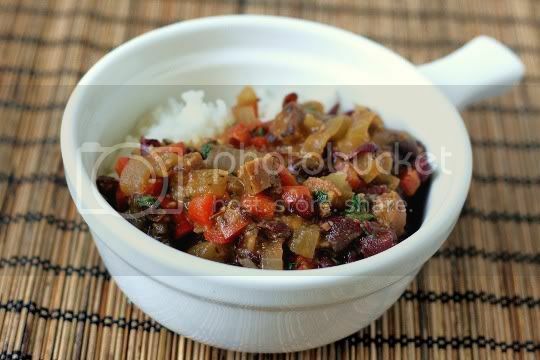 The stew will start to thicken slowly, so don't go mash-crazy right away. The Southern flavors here are wonderfully authentic, and as I mentioned, the combination of onions and peppers with the beans and seasonings makes this strangely similar to gumbo. I suppose that should be the next thing to veganize! Cook rice according to the package directions. Set aside and keep warm. Heat a large nonstick pan coated with cooking spray over medium-high heat. Add sausage; cook about 5 minutes or until lightly browned. Transfer sausage to a bowl, and set aside. To the same pan, add bell pepper, onion, Cajun seasoning, thyme, and hot sauce; sauté 3 minutes or until onions are softened. 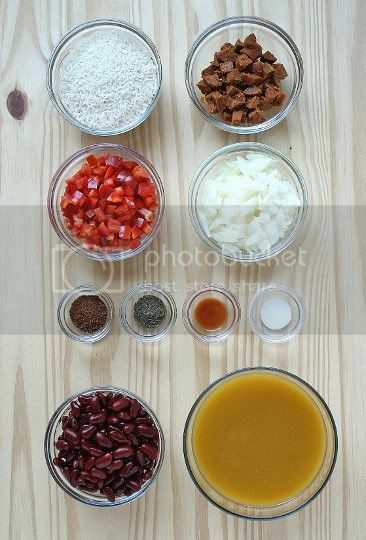 Add beans and broth. Using a potato masher (or something similar), mash half the beans until mixture begins to noticeably thicken. Cook about 10 minutes, stirring occasionally. Add sausage, parsley, and salt; cook 1 minute or until thoroughly heated, stirring occasionally. Serve over cooked rice. Serves 4. This looks so yummy. 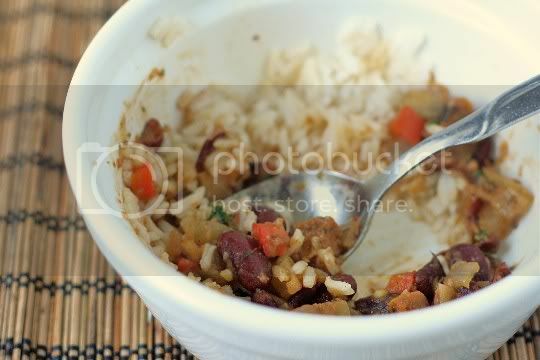 I love red beans & rice and I've been meaning to try the Field Roast chipotle flavor! Great flavor combination! Stunning shots!